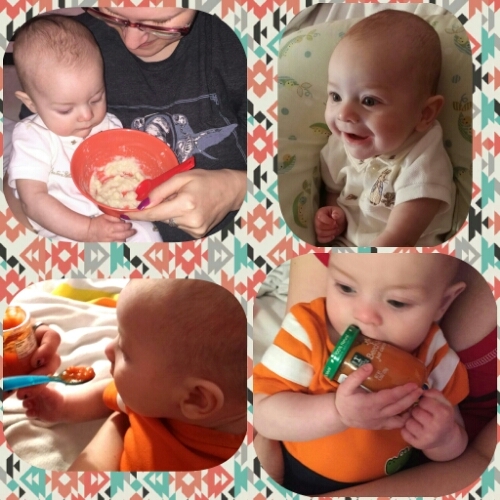 My little one will be 5 months old next week, and today had his first helping of baby food! We started out with rice cereal for lunch, and then Ace picked out carrots for dinner! He has been smacking his little lips for a couple weeks now anytime he watches mommy or daddy eat, and hasn’t seemed satisfied after bottles feedings, so we felt it was time to start him on baby food. I’m so proud of my growing boy!